VIDEOS » Countries at The Crossroads » Archives » Brazil: Political Soap Opera? This show needs a new venue. Last month, we compared Brazil’s political crisis to a soap opera. But this has become theater of the absurd. On April 17, the Brazilian Chamber of Deputies recommended the impeachment of President Dilma Rousseff for the technically accurate but comparatively minor offense of fudging fiscal numbers. The Chamber vote sent impeachment proceedings to the Senate, where the president was likely to face removal. The hyper-corrupt House Speaker Eduardo Cunha piloted the impeachment process, and it would have ended with the equally tainted Vice President Michel Temer in power. But hold the phone. In a bizarre turn of events, Chamber President Cunha, was stripped of his post on May 5 by the Supreme Court. A few days later, his deputy Waldir Maranhão, thrust into the position of interim speaker, promptly annulled the chamber vote of April 17 on a technicality. So Dilma is safe then, right? Not so fast. The Senate President Renan Calheiros, who is also under investigation for graft, stated his intent to go ahead with the impeachment anyway. And whatever had gotten into Maranhão’s mind quickly exited it – by midnight of the same day he had already publicly reversed his decision to reverse the decision on the impeachment proceedings. Even Brazilians are thrown off by that much flip-flop. We are not privy to behind the scenes horse trading, but it likely is not pretty. Maranhão, the confused interim speaker, represents what is probably Brazil’s most corrupt party, the Progressive Party (PP), and he is from what might be the most corrupt and poorest state—ironically also named Maranhão. He is – how could he not be?! – under investigation in relation to the Petrobras corruption scandal. Before his decision to annul, he consulted with the State Governor of Maranhão who is a staunch ally to Ms. Rousseff and who may have offered something nice back home, but apparently someone else made an offer that same day which Maranhão could not refuse. In the end, not much has changed since late April. Dilma will most likely be impeached. Cunha has finally lost his Chamber Presidency; he will likely lose his congress seat and, for the sake of Brazil, hopefully will be tried and punished. Vice President Temer is still slated to take over the presidency in a few days, but he is unpopular and is very unlikely to last beyond 2018 and he may well lose his political rights prior to that due to campaign finance irregularities. So Brazilians have proved remarkable at tearing down their corrupt, incompetent and self-serving leaders. The problem is that whenever they get rid of one of the cronies, the next in line seems to be, as Brazilian’s say, “flour out of the same bag”. Brazil needs new and better leaders (not taking about you, Bolsonario). To get them they probably need better parties. The PT used to be a better party back in the 1980s and 1990s, but, as has become abundantly clear, it got sucked into the system. For the system to change more structural changes probably need to be made to the political system such as creating electoral districts so voters actually have an idea who their congress people are, and limiting the number of parties in congress to overcome the current bizarre fragmentation. 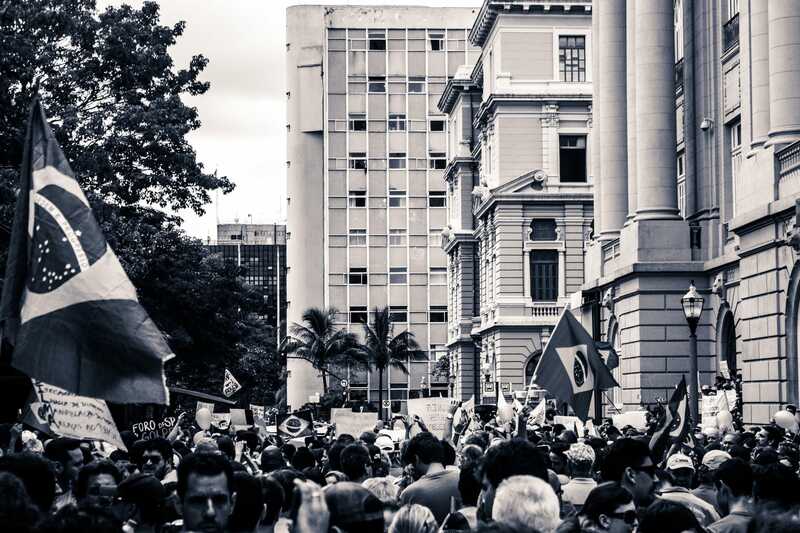 For now, legal rulings keep coming in from all corners of Brazil. So what will happen next? You be the judge. Heck, that is basically how Brazil is running right now anyway. João Schlüter, a Brazilian political analyst and insider covering Brazilian politics for No Se Mancha.